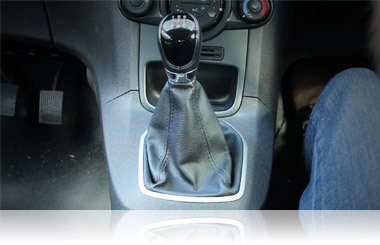 Clutch control is controlling the speed of the car when driving slowly (below 5mph) with the clutch and gas pedal. Clutch control is one of the hardest parts to master for most people when they're learning to drive a manual/stick shift car. 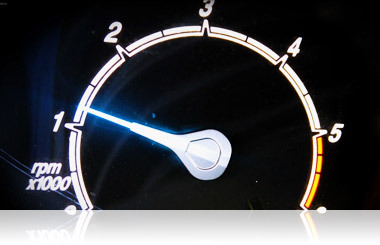 You'll feel at one with the car once you've mastered it though and in complete control of the car at slow speeds. Watch our video below on clutch control as we demonstrate when it would be used on hills, creeping up to and out of junctions and in slow moving traffic. You'll also be using a lot of clutch control during the reverse manoeuvres such as parallel parking. Practice the following somewhere quiet where you'll be left alone. It's important to get used to where the biting point is in your car. 3. Press the gas (accelerator) to get the revs up to around 1 and a half on the rev counter (more if moving off uphill or no gas for moving off downhill). Remember this: Using the gas will not necessarily make you go faster but it will help the car not stall. You'll only move off fast if you release the clutch quickly. 4. Raise the clutch slowly until you feel the biting point. You will know when you've got the biting point as the back of the car will dip down slightly and the engine sound will change. When you feel it, keep the clutch still. Once it's safe all around, signal if needed and release the handbrake, but keep your feet still. The car will now move. Raising the clutch slightly (about the thickness of a pound coin) will make the car move slightly quicker. Lowering the clutch down (again, about the thickness of a pound coin) will slow you down and that's clutch control. Raising the clutch completely with a little gas will allow you to drive on and accelerate if required. When you feel confident, practice clutch control on a hill and in traffic or creeping at a junction.